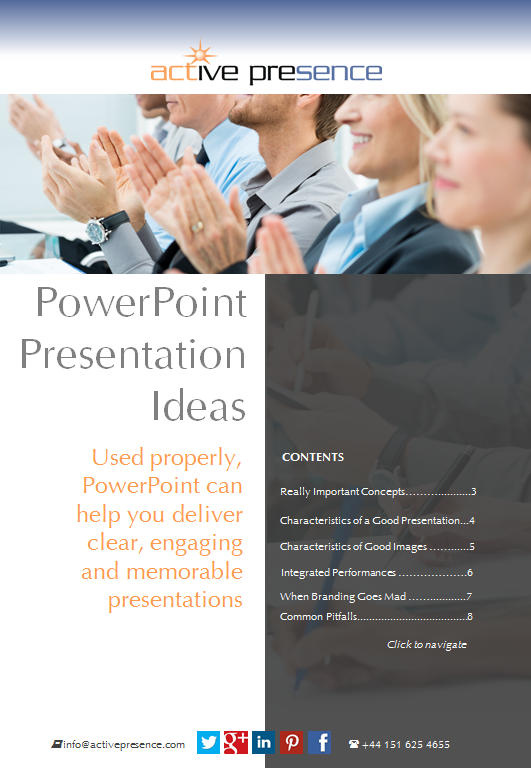 Thank you for requesting a copy of our expert guide ‘PowerPoint Ideas’. You can view and download your copy now by clicking on the cover image. You may also be interested in downloading the ‘PowerPoint SmartArt’ guide, which takes you through the easy-to-use system that represents a giant leap forward from boring bullet-point slides. Using Microsoft's SmartArt will take you a step further towards creating and delivering visually appealing, memorable sales presentations.